buy yourself a copy of this book. andy macdougall also created squeegeeville. take a look. here's a tutorial about reduction screen printing by artist Jim Winters. an online (comic) pdf called diy silkscreening. need a detailed screen burned? ask the kind folks at creative screen technologies. you can even email a black and white jpg to be made into a screen! gigposters. a very active community of artists lives here. Happy New Year. I am very glad to share this new site with you, and some very good news. Three pieces of mine were accepted into this year's Society of Illustrators 30 contest in the Poster, Kids Book, and Surface Design categories. See the accepted pieces below, and a big THANK YOU to the judges! This piece was created for Oakland Animal Services. This poster was created for Camper and Cracker's Winter 2016 shows. 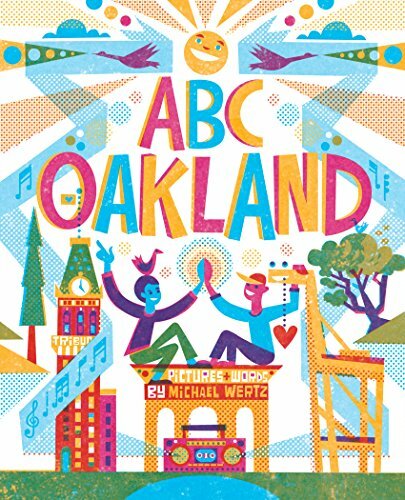 This image was created for my kids book ABC Oakland. This year's Posters design for the CVB/Cracker shows are done, ladies and gentlepeople, and I'm very excited about them. Here it is. It's a portrait of our favorite unwilling participant, Patty Hearst, aka Tania. 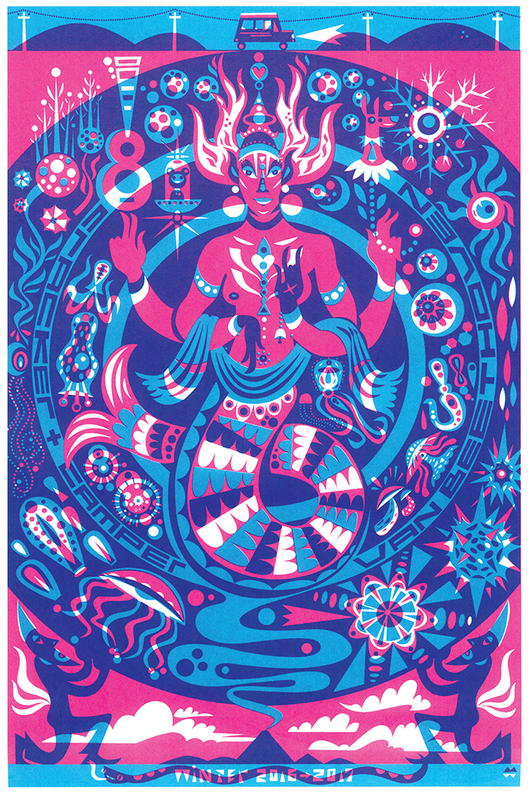 Dear Friendlies, we have a small stack of Campout X posters available in the shop for you right here. Here's to our favorite goth queen. Accept no substitutions. May she reign indefinitely. Screen print by yours truly. The Campout 9 posters are here. They'll be up for sale in the shop after the Campout's done! Friendlies, I'm finally catching up with the work I've been doing in 2012. So TODAY! FOR YOU! there are four NEW! entries on the Wertzateria shop page. Work I've been designing (and printing) for the Oakland Museum of California, ALO, and the Camper Van / Cracker Family is all up now and purchasable through this lovely invention called PayPal. Have you heard of it? It's sweeping the nation! All of these were lovingly printed by hand (by me) at Bloom Press in Oakland. Go check 'em out.